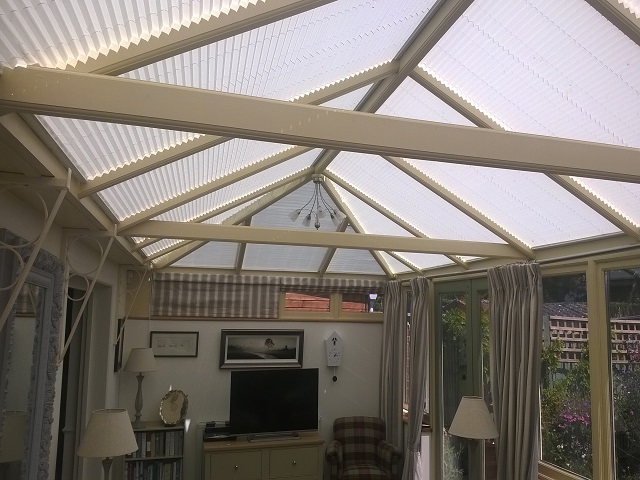 Service and product quality is at the heart of everything we do and when you are relaxing in your conservatory after we have fitted your blinds and gone, we want you to be 100% sure you made the right choice by using Marla Custom Blinds. 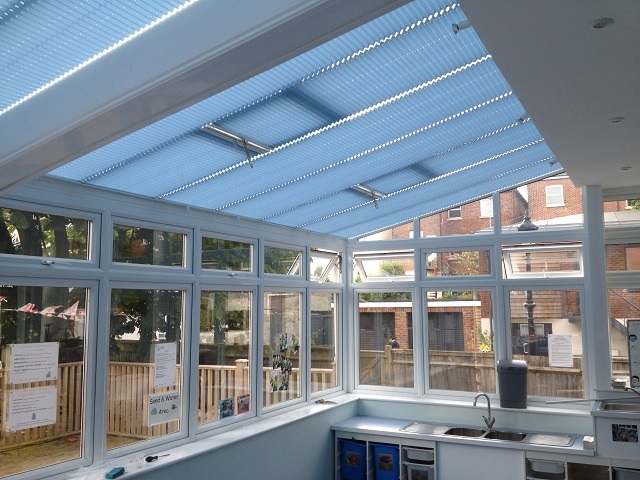 Pleated blinds are an ideal solution for conservatory roof areas as they offer excellent control over heat gain and glare by the use of our advanced solar reflective fabrics. Click below to find out more. 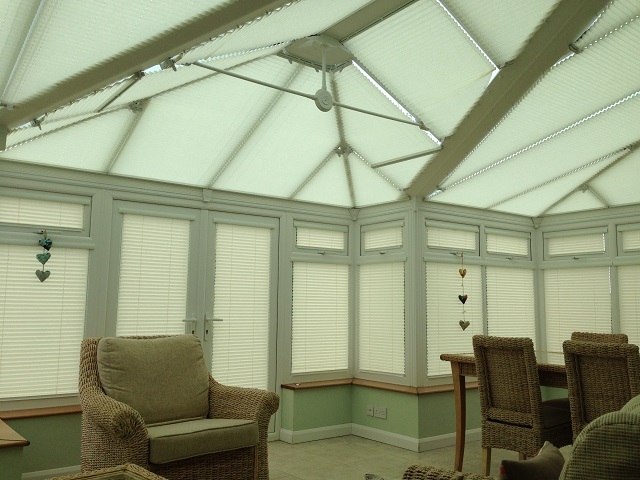 Conservatory roof roller blinds can be suitable for certain types of conservatory such as large timber construction conservatories but do have limitations. Click below to find out more. 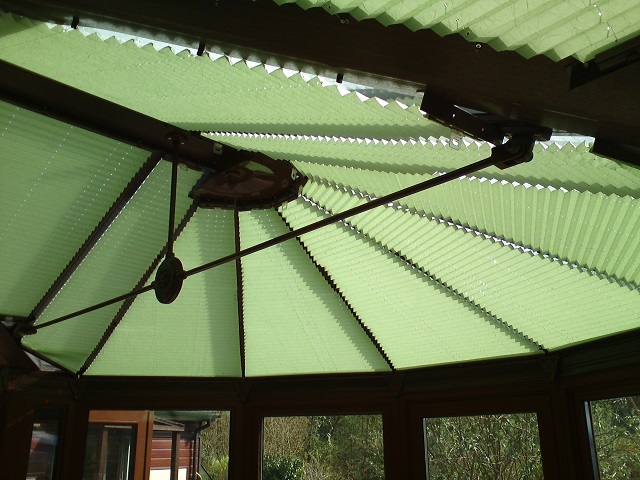 Pinoleum blinds, also sometimes known as Woodweave blinds, are a perfect solution for timber framed conservatories, especially with deep rafters. Click below to find out more. 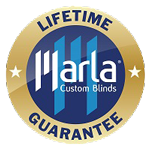 What makes Marla Custom Blinds worth a second look? for our kitchen / breakfast room. Very professional service from initial survey through to excellent installation. Would thoroughly recommend this company. 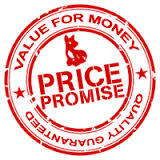 Good quality materials, well fitted by excellent staff, very helpful company. Very efficient team work. Came earlier than expected and did a good job. 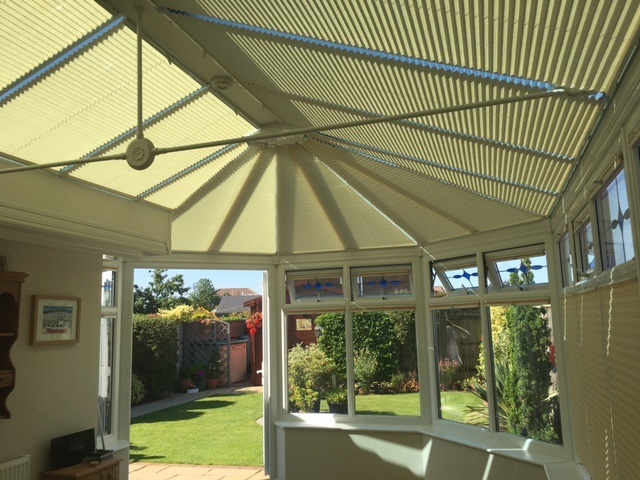 All our conservatory roof and window blinds have a 5 Year Guarantee as standard but our conservatory roof blinds are upgraded to a Lifetime Guarantee if you take advantage of our annual valet service. 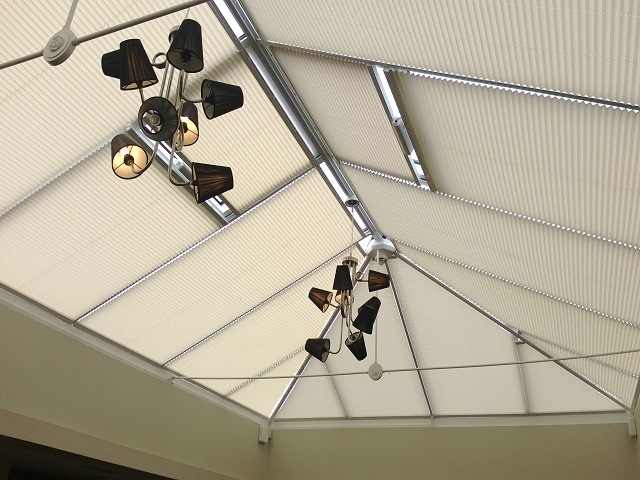 Need an idea of cost for your Conservatory roof blinds? 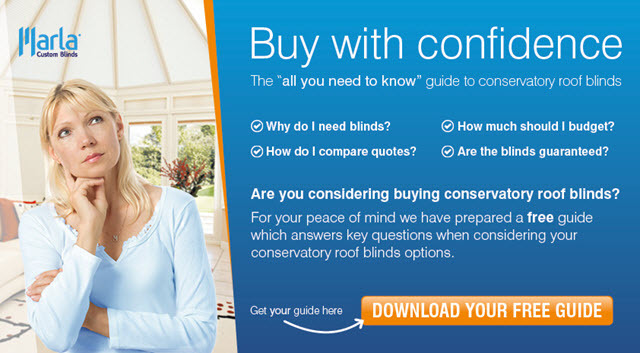 Use our Quick Quote calculator to get an approximate cost for your conservatory roof blinds.